The goal was to cram as many crafts into one day as we could. A good time was had by all, and nobody got their eye poked! Of course there were a few glue gun casualties but all in all, a successful day! We made sock snowmen, which are all over Hometalk and Pinterest. 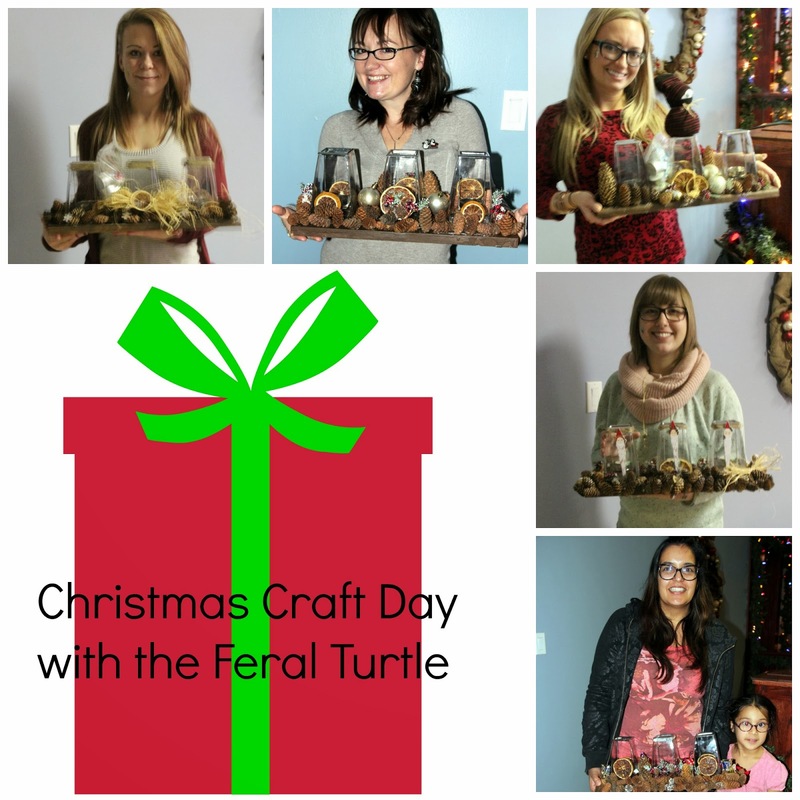 We etched glasses for tealights, (no pics...oops) some crafters made cards, and we all crafted a Christmas centerpiece created from a piece of painted fence board, pine cones and tealight holders. I was only able to snag a few pictures as it was a busy day of good food (Thanks Mr. FT) and great company! A few of the crafters with their amazing centerpieces. I got a little busy so poor Mr. Snowman is having a difficult time breathing! A knock off from Starbucks! 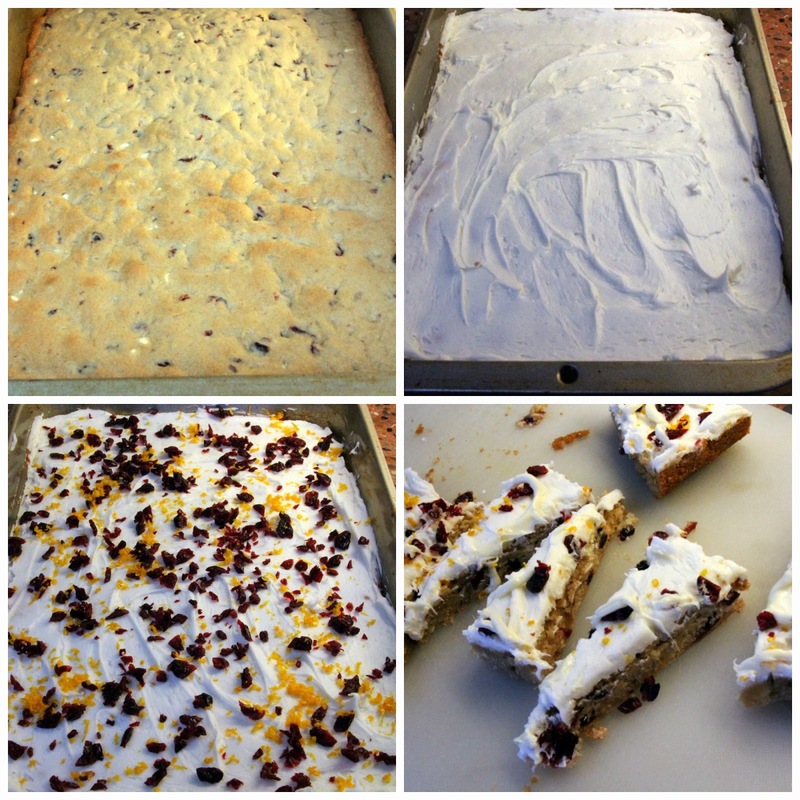 Cranberry, Orange and White Chocolate Love. Click HERE for the recipe!! It was very well received. white chocolate and need to use up my regular chocolate chips. Give it a try....so good!! it was a pretty successful day! Looks like everyone had a great time! Love those centrepieces, and your sock snowman is so cute. Wow, this looks like fun! Ya'll made some cute stuff. Look at you crafty mamas! You are really putting me to shame this year! I had grand crafting dreams for the season, and haven't started on one. Now I feel like it's pointless since Christmas is almost here :( Your center piece is really beautiful! Looks like all the ladies had a fabulous time! Sorry about the weather day 2 but it looks like so much fun and I love those button cards most of all. Heather has some awesome recipes up her sleeve. I want to come to one of your craft parties! Looks like you made some great stuff and I pinned this post to try a few of your ideas. What can I say about Heather??? She is so awesome and her recipes so rock! Have you seen her Rebel Mormon Buns she posted today??? I am going to blush! There is way too much niceness going on in this post today. Your parties look like so much fun. I am crossing fingers for an invite next year. Love the crafts!! I think regular chocolate chips would be yummy as well!!! Mmmmmmm. You guys had so much fun. Again, I am wishing that we are neighbors Karen. Haha. The weather there is very cold, here in Cebu, Philippines is really hot like its Summer time. I miss the December weather we used to have but I am still optimistic that it will be soon. Look at your girls go!! It looks like you all had so much fun and really got down to being crafty. Wouldn't it be fun to have a crafty party every weekend?? At someone else's house, of course!! Sock snowman is a cutie, mouth or not, and those center pieces are lovely! It looked like such fun. I wish I could have been there. Your center piece is really great. This looks like a lot of fun....and such beautiful creations!